Who doesn't love a gift basket? Who doesn’t love a gift basket? This season get ready to be bowled over by some of the most bounteous and beautiful baskets you’ve ever seen. That’s right, these baskets (and now sometimes boxes, crates and even backpacks) runneth over with creative, curated collections ready to be joyously received by everyone on your list. 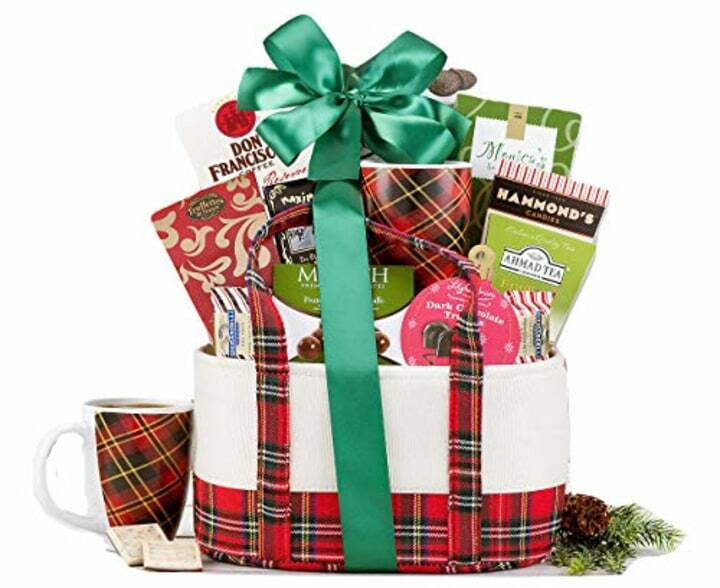 We get it, a gift basket might not seem like the most unique gift, but play your cards right, and it just might become your giftee's favorite gift this year. 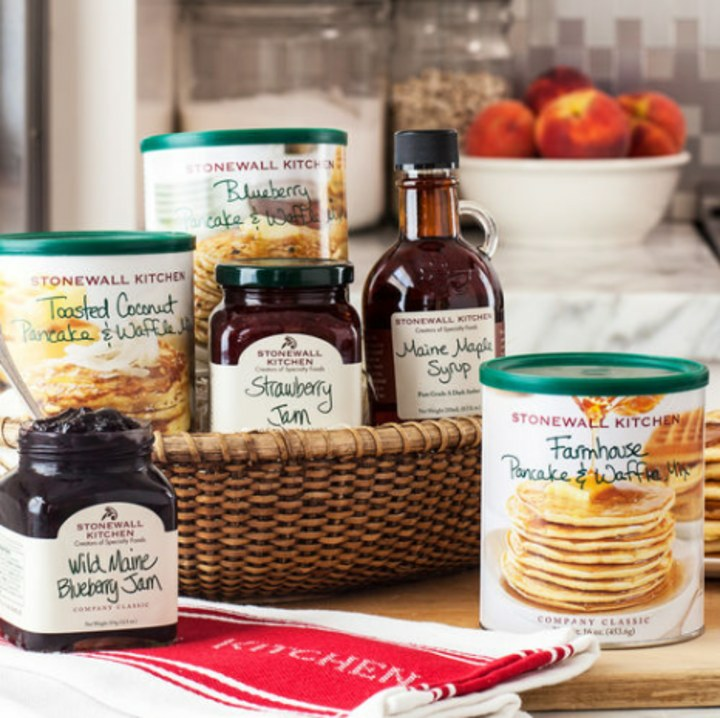 This classic gift basket from Stonewall Kitchen is filled with breakfast perfection, including three varieties of yummy pancake mixes, Wild Maine Blueberry Jam, Maine Maple Syrup and more — all ensconced in a Nantucket basket. 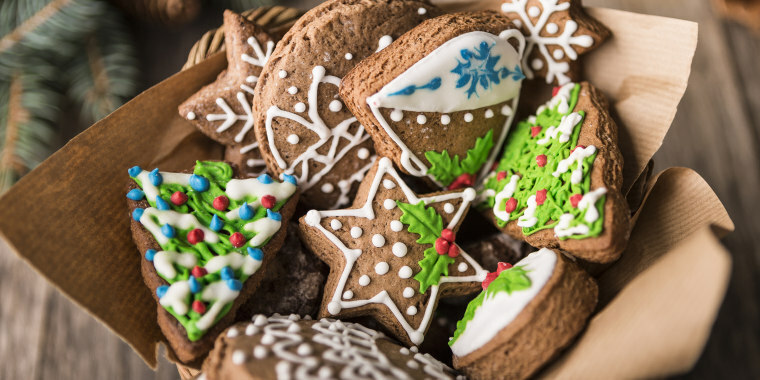 It’s the perfect hostess gift — especially when you plan on staying a while. These might be the prettiest chocolate-covered pretzels we’ve ever seen — and we bet your giftee will think so, too. 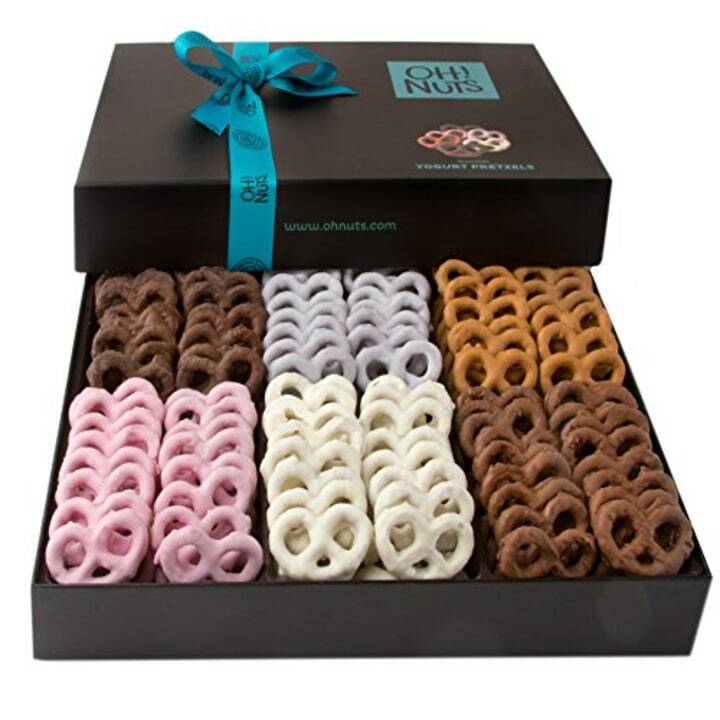 This gift box boasts hand-dipped pretzels in six flavors including yogurt, milk and dark chocolate. This adorable gift tote is a crowd pleaser! Filled with a selection of coffee, cocoa, teas and delicious chocolate — it’s got something for everyone. For the meat lover in your life, look no further. We’ve got a gift basket (actually it’s a gift crate!) from Dan the Sausageman that will rock their world. 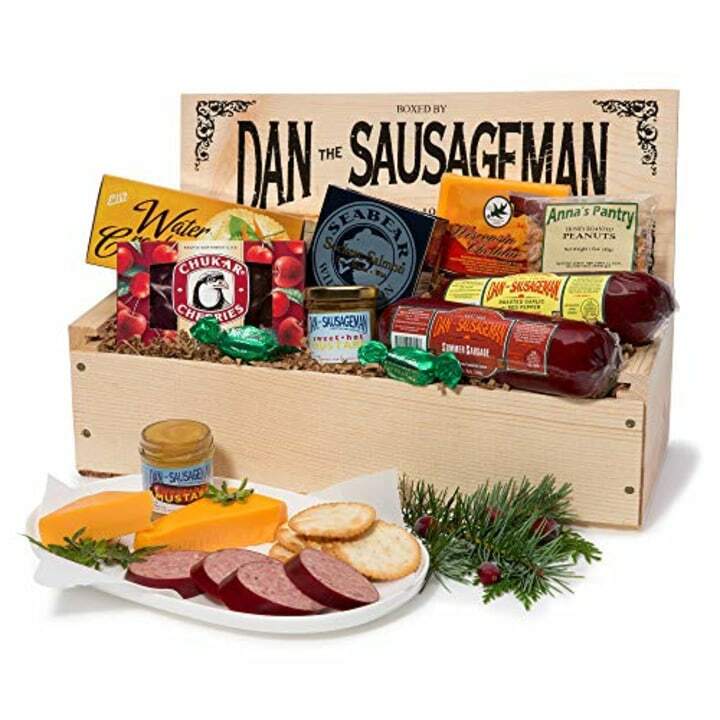 This one's filled with gourmet treats and features both surf and turf, like Dan’s famous Original Summer Smoked Sausage, Roasted Garlic Red Pepper Summer Sausage, Seabear Smoked Salmon and much more! 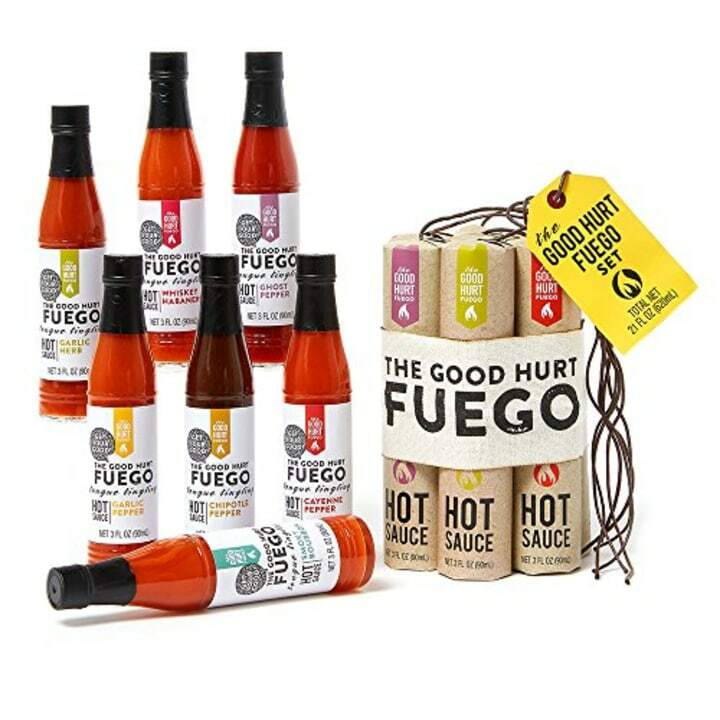 “Feeling hot, hot, hot!” is what your recipient will be singing when they open this gift set of of seven different hot sauces inspired by exotic flavors and peppers around the world. And with hotness levels ranging from mild to blazing hot (did someone mention Ghost peppers?) — your hot sauce lover will be toasting you (likely with large glasses of ice water!) in appreciation for this fiery gift. 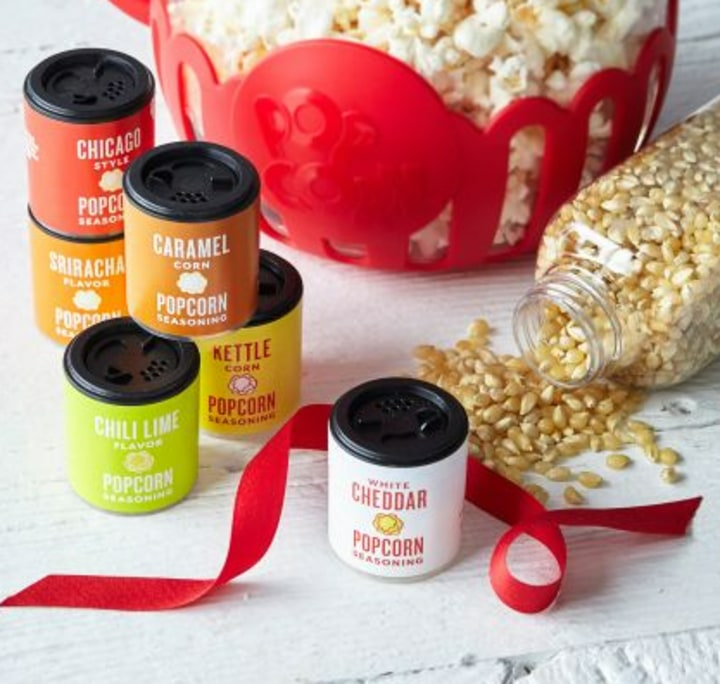 When only the finest popcorn will do, Urban Accents delivers small-batch, gluten free, non-GMO popcorn that will thrill your favorite popcorn aficionado. Plus, this set comes with six incredibly flavorful toppings. Yep, beards are back and in need of taming. 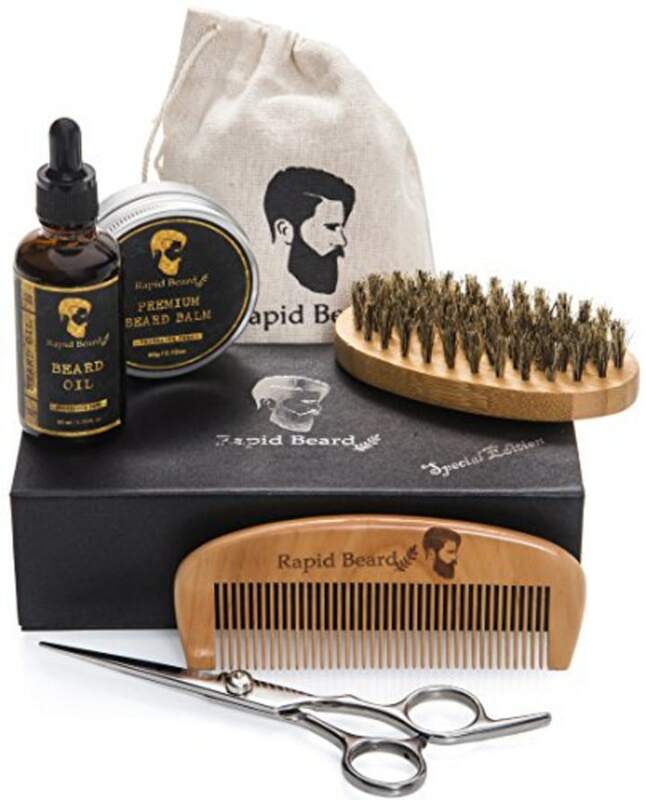 Help your loved one’s beard reach its full potential with this useful grooming kit. It comes with everything he needs to achieve a lumberjack-level beard. You know what we love about these adorable little bath bombs? That they look good enough to eat! And of course, the fact that they are all natural, vegan and made with organic shea butter doesn’t hurt, either. This gift set is comprised of four miraculous masks designed to give your skin exactly what it needs to look and feel its best. Look out, because this lucky recipient’s skin will be ready to shine. 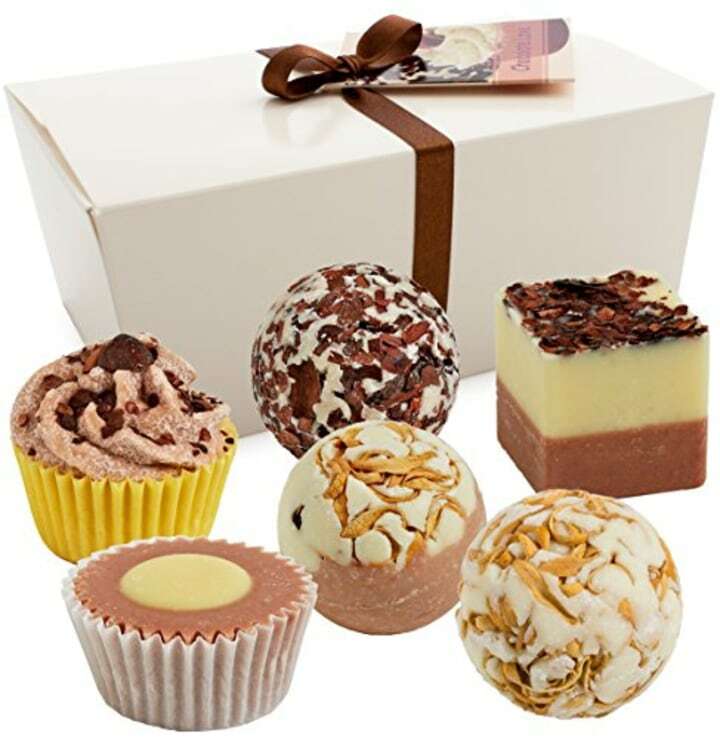 We think this bath décor gift set would make an unexpected, but appreciated hostess gift. 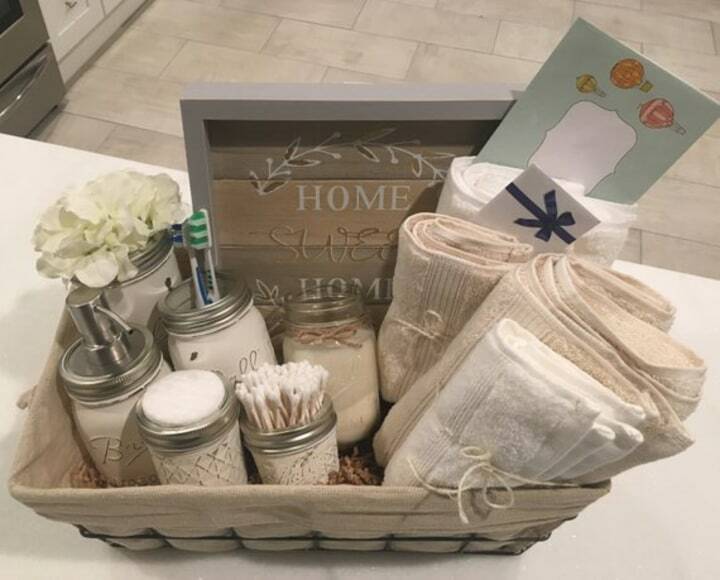 Its contents, including a mason jar bathroom set and a wooden sign, will transform your giftee’s bathroom. 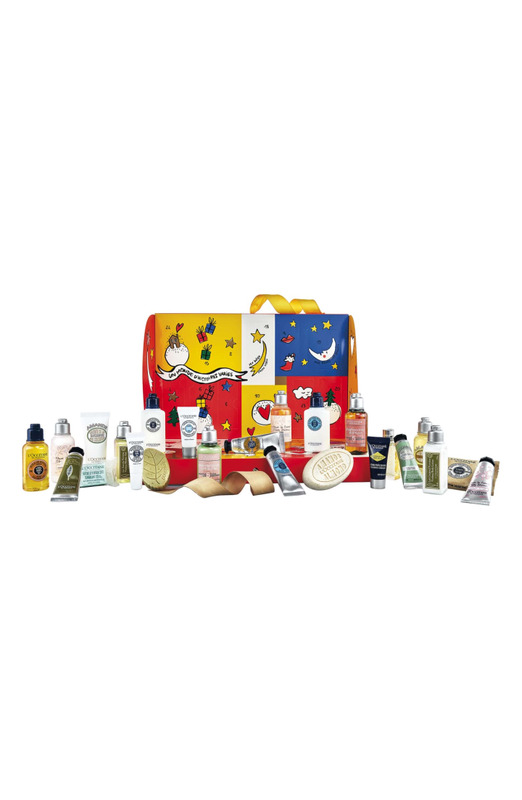 Twenty four fabulous beauty products housed in an advent calendar designed by Castelbajac Paris? Yes, yes, yes! We are big fans of Jo Malone London’s gorgeous and inviting fragrances for the home and this gift set ensures that every area of the house will smell better than the next. Lime Basil and Mandarin room spray, Lino nel Vento linen spray, two candles and more arrive in the brand’s signature gift box with festive bow. 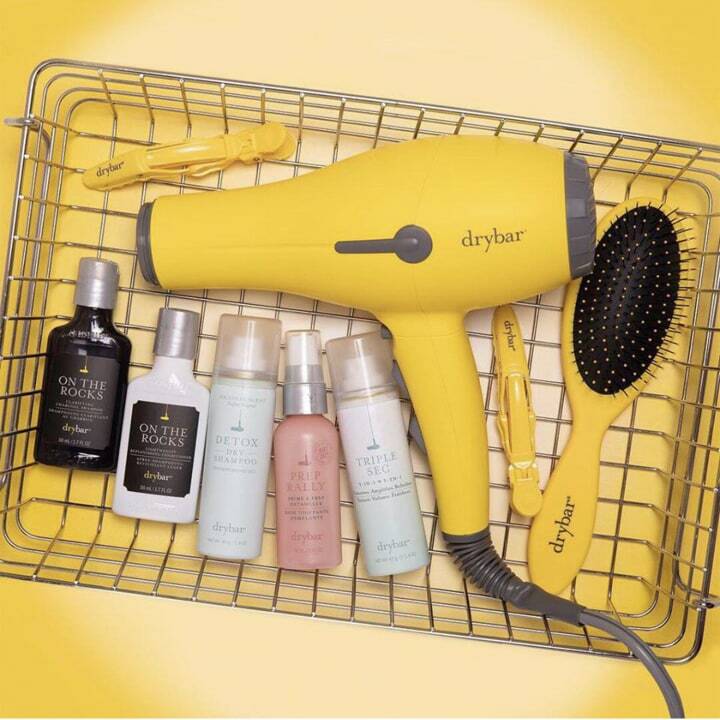 Drybar calls this gift set "The Most Wonderful Kit of the Year” and who are we to argue? Any glamour gal on your list will delight in their collection of hair styling essentials. Turf chipping mat and tee? Check. Putting pocket? Check. 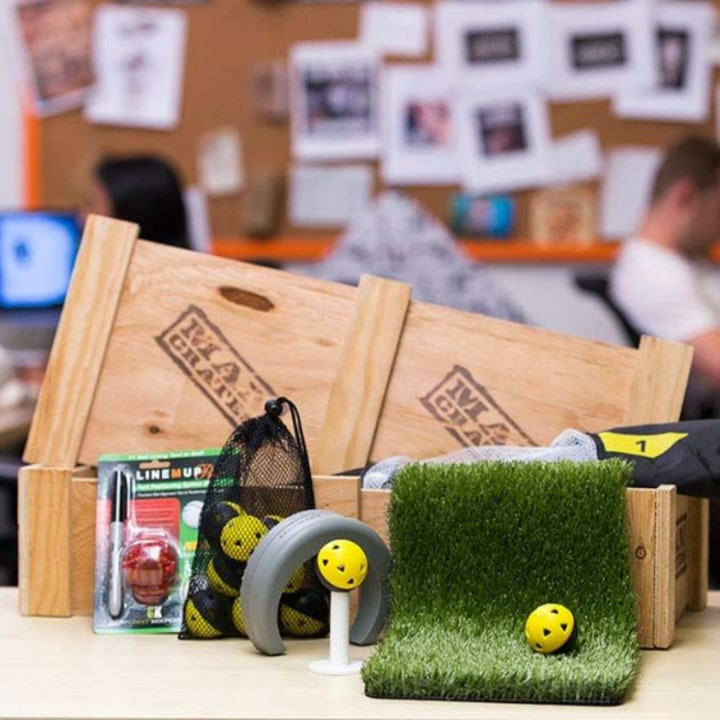 Trust us, the golf nut will be thrilled with this Office Golf Crate. Their boss? Not so much. 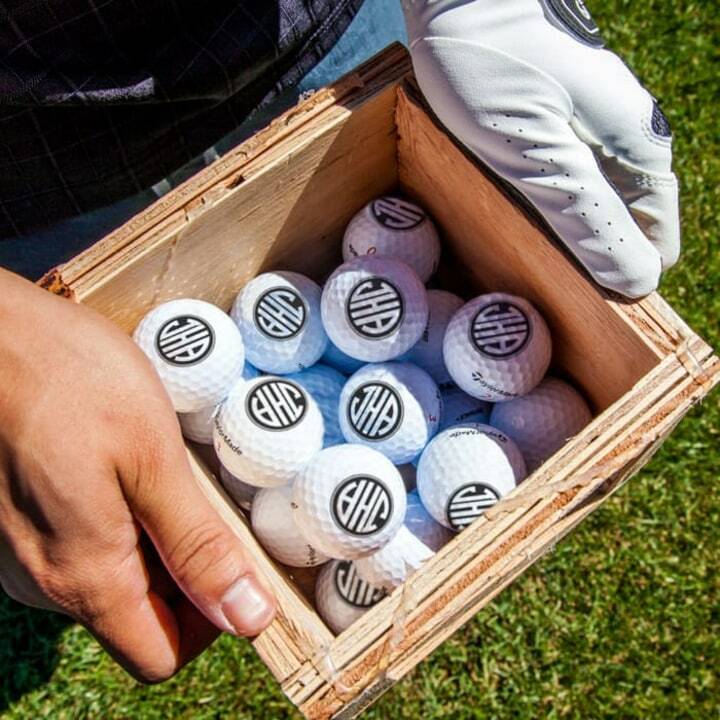 Last but not least, we couldn’t get over this mini crate of monogrammed golf balls. Now that’s an innovative take on the gift basket! "Frozen" gift basket for the win! Get ready for about a million hugs and kisses from the "Frozen" superfan on your list. 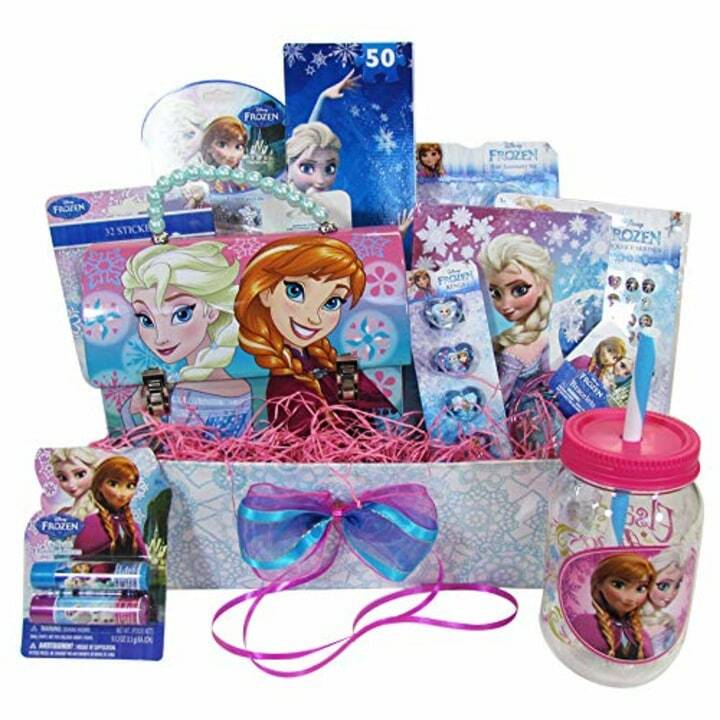 She will really “let it go” when she spies this basket filled with lip gloss, hair accessories, a diary and a slew of other "Frozen" novelties. You can’t beat this sweet basket of precious organic essentials for the newest arrivals on your list. Burt’s Bees Baby knows just what Mom needs to make her tiny one feel comfy and cozy. From an organic kimono top and pant set to a bib, burp cloth, blanket and more, this is a useful gift that any new parent will appreciate. This is a clever take on the theme! 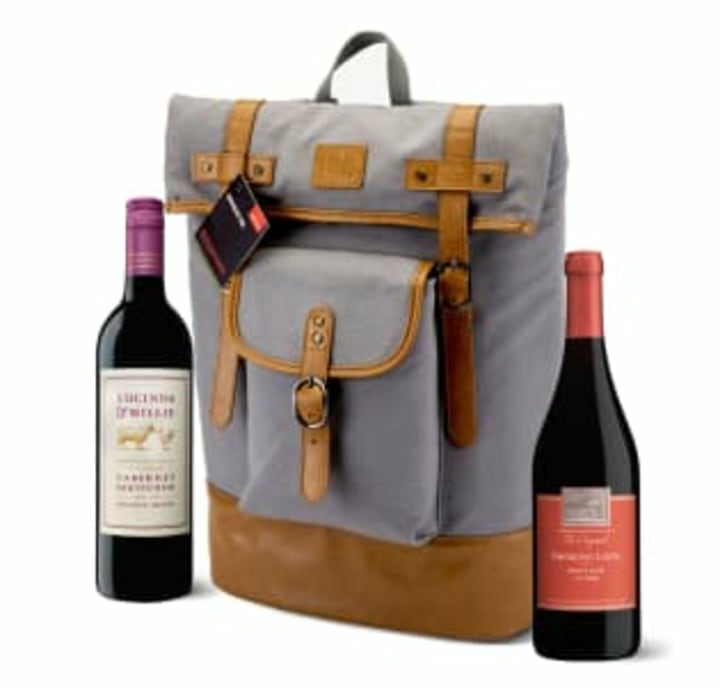 The traditional basket is subbed for a stylish, insulted wine backpack by Foster & Rye. As an added bonus, two bottles of wine are also included. Doggies need a little love under the tree, too! 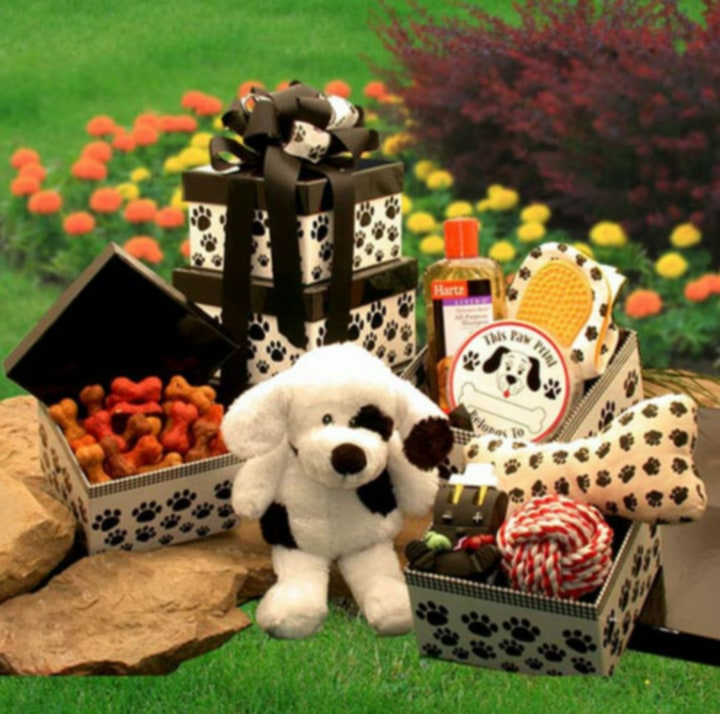 And boy, will their tails be wagging when they dig into this plentiful gift tower filled with dog toys, treats and even shampoo. Can we get a "Woof, woof!" Does someone on your list have a green thumb? 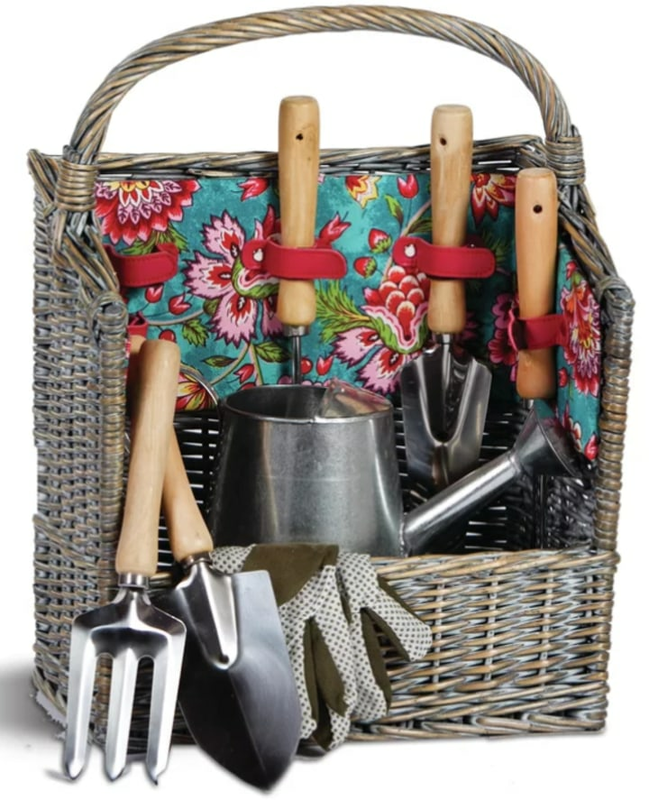 This gardening gift set comes in an attractive, fabric-lined basket and delivers all the tools your plant whisperer will need to coax their garden into full bloom.